A new equestrian centre at a rural skills college in East Yorkshire has been opened by the Princess Royal. 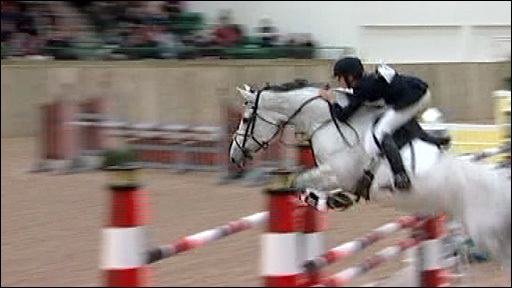 The indoor arena at Bishop Burton College will be used as a training base for the 2012 Olympics. It forms part of the college's new £25m campus and has been designed to hold competitions and events as well as lectures and practical demonstrations. Principal Jeanette Dawson said the visit was "fantastic news" and the "icing on the cake". The Princess was a member of Great Britain's Equestrian team and participated in the 1976 Olympic games in Montreal. Mrs Dawson said: "This is fantastic news for the college and a great way of launching such special facilities. "Earlier in the year we received confirmation that we had been approved as an equestrian training base for the 2012 Olympics. "The indoor arena was, and is, at the core of that bid and will provide some equestrian teams, clients and students with some of the best facilities in the country."